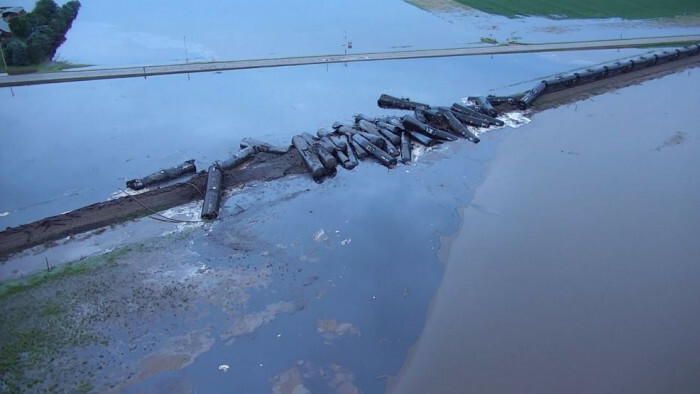 No injuries have been reported after a train derailed in northwest Iowa and 20 cars carrying soybean oil and sand fell into the rain-swollen Floyd River. 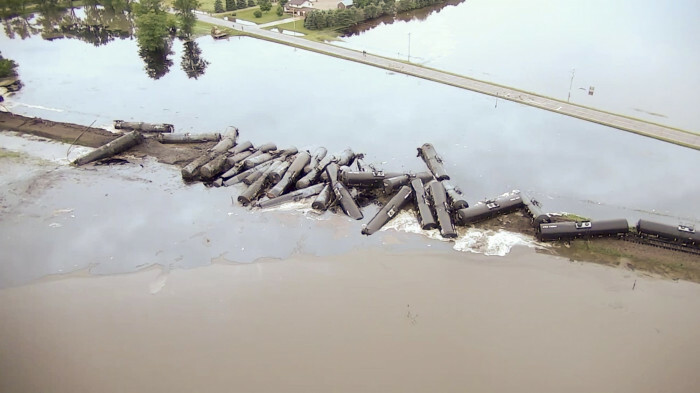 The Des Moines Register reported that the bridge beneath the Union Pacific train collapsed as part of the derailment Sunday morning. 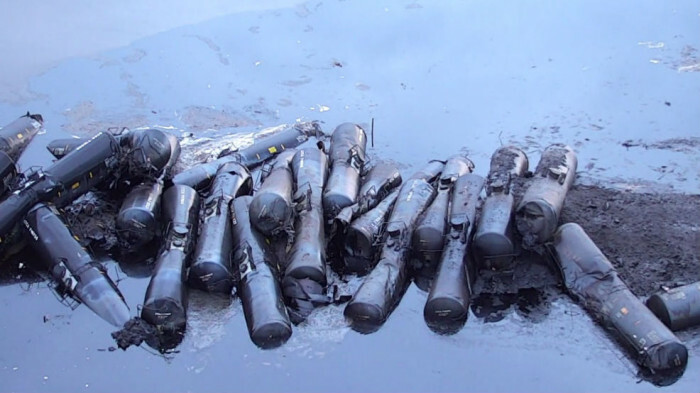 Officials said no hazardous materials leaked into the river. 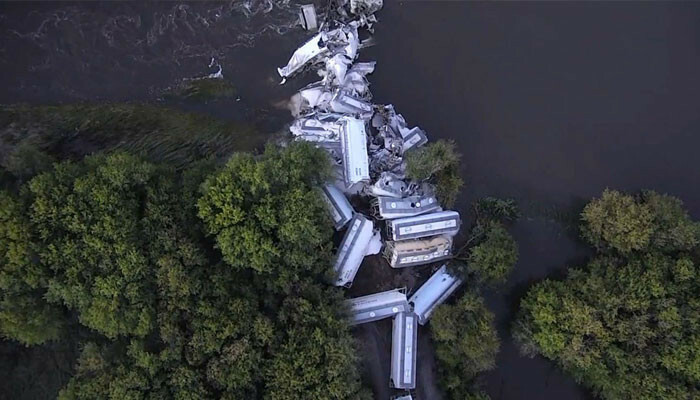 The Sioux County Sheriff's Office shot video showing the mangled pile of rail cars and the bridge in the river. 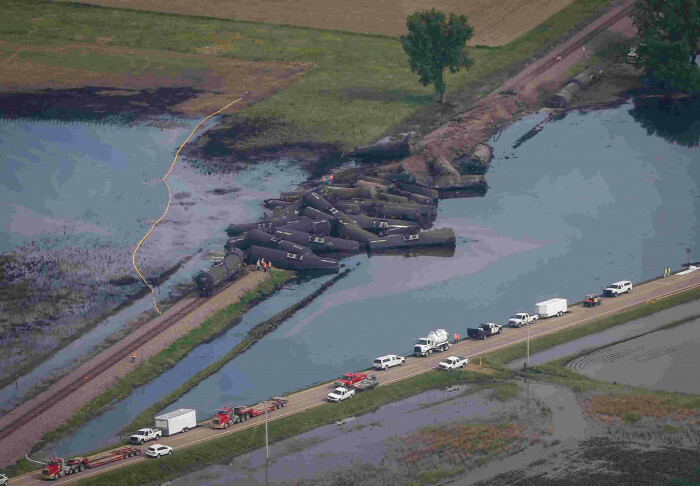 Alton City Administrator Dale Oltmans says the derailment happened at about 4:30 a.m. Sunday on the edge of the small town of Alton, about 35 miles south of the Minnesota state line.